Understanding of our clients' business or commercial activities and of the corresponding sector of the market. Implementation of integrated accounting software (ERP) in accordance with the client's requirements. Accounting service regarding the control, bookkeeping, posting and processing of operations and/or accounting transactions. Analysis of accounts and management reports. Preparation of Financial Statements in local or functional currency. 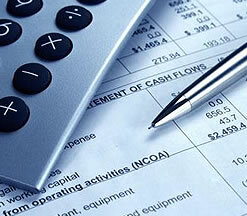 Accounting advisory and consulting services with respect to the business's financial operations and/or transactions. Processing and issuing of official and auxiliary accounting books.